Here's a fun manicure that I did last week. Stripes and pastels are two trends that are always very popular in spring, so I decided to incorporate both into a nail art design. 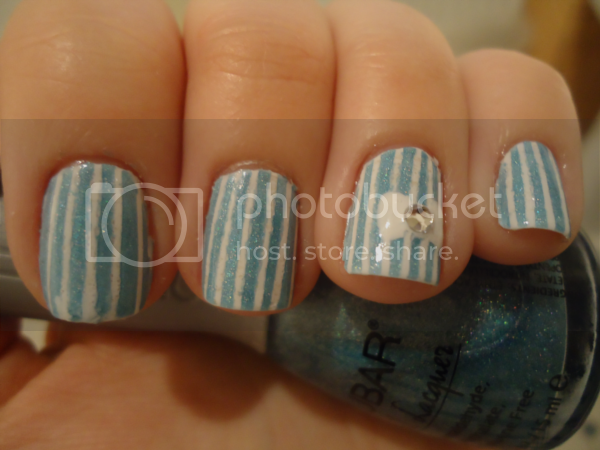 I started by painting my nails with two coats of OPI Alpine Snow, a white creme. 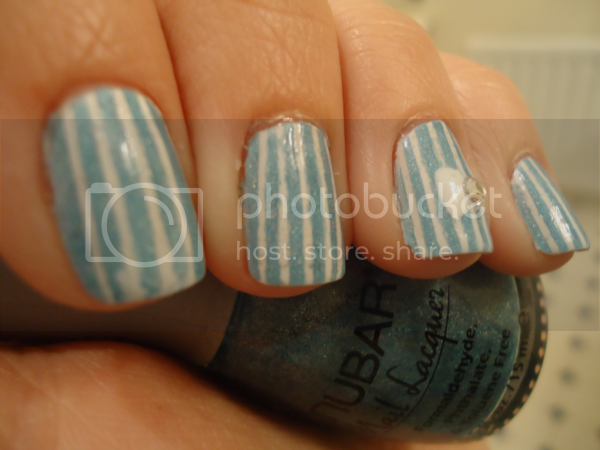 I then used striping tape to paint vertical stripes in Nubar Absolute, a pale blue with holographic glitter, which I have previously shown you here. 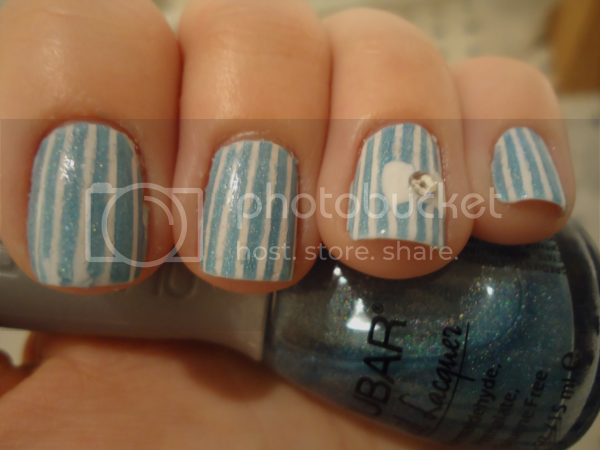 Finally, I used a nail art brush to freehand Alpine Snow in a bow shape, and added a diamante in the centre. I mucked up my index finger a bit (story of my life! ), but it turned out rather well all the same. Unusually, it actually looks better on my right hand, but since I'm rubbish at taking photos of that hand you get the slightly less brilliant one.